Nagaloka campus is spread over 14 acres in Nagpur (in the centre of India) where Dr. Babasaheb Ambedkar converted to Buddhism in 1956 and launched the Dhamma revolution. 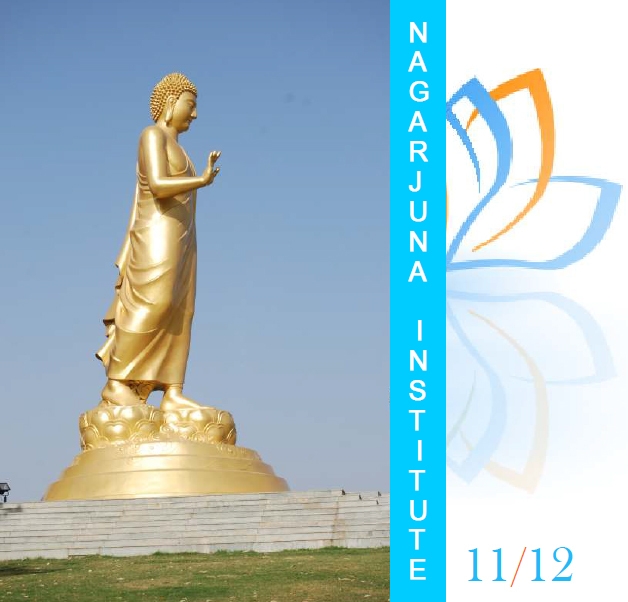 The heart of the campus is the Nagarjuna Institute (NI) – tradition has it that the great master Nagarjuna lived in this area. The aim of the Institute is to train young people in Buddhist teachings and practices, and inspire them with its vision of the transformation of the individual and society, which so inspired Dr. Ambedkar. Training activities started in 2002. To date over 670 students from 24 of the 28 States in India have participated in the course. Many of them are engaged in social and Dhamma activism, running schools, hostels, community centres, retreats and Dhamma classes. This network of ex-students forms the core of the Prabuddha Bharat network, which is dedicated to taking forward the Dr. Babasaheb Ambedkar’s vision of a new India based on Buddhist values. 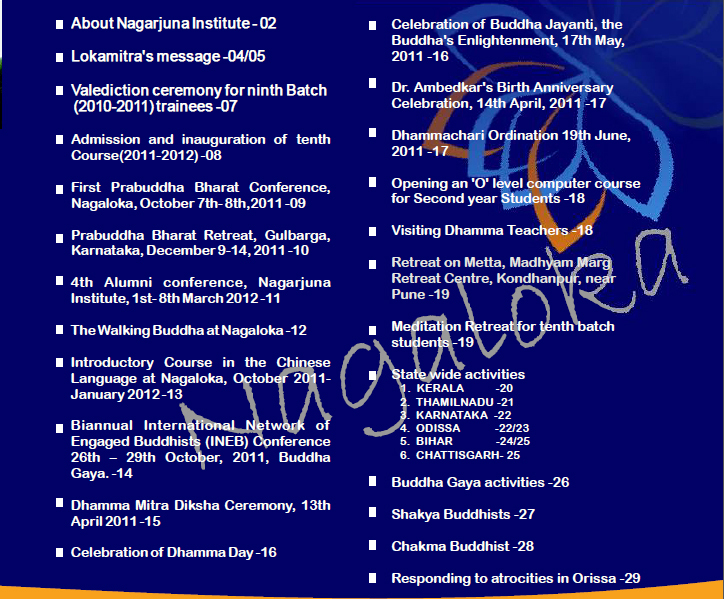 Nagaloka is part of the Triratna Buddhist Community.